I was really excited to try this Backstreet Cafe, because it was an American style cuisine. 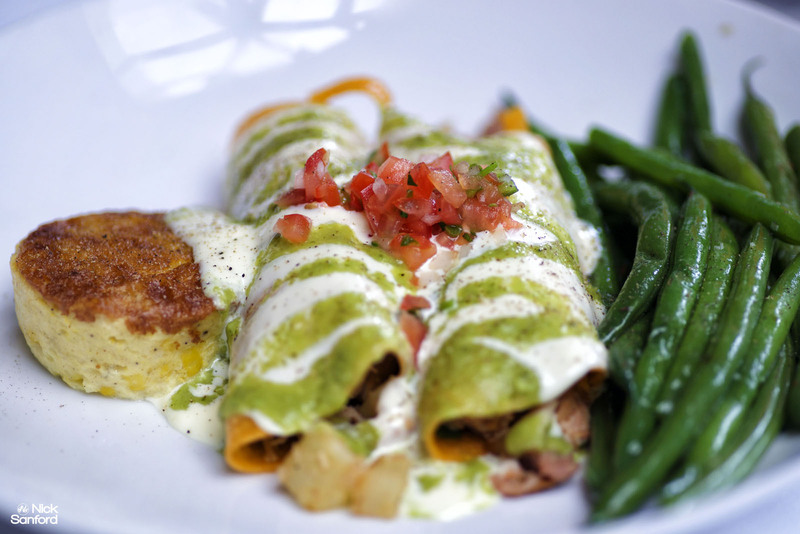 I had only had Hugo’s Latin style cuisines at his other restaurants Hugo’s and Caracol. Both are unique staples in the Houston area for Latin cuisine. I couldn’t wait to see what Chef Hugo had in store with the restaurant that he originally worked at as a dishwasher before graduating from culinary school. We started off with a few appetizers and we started getting dirty right away with the braised beef cheeks. A lot of people are afraid of cow cheek, because they aren’t used to hearing about it or seeing it often. It’s delicious, and I order it every time I see it available on a menu. I’ve never been disappointed. The one at Backstreet had an oxtail type of flavor with a pot roast texture. It was over a bed of mashed potatoes, and was everything I was hoping for when I saw it on the menu. This might have been my favorite item we had the entire day. 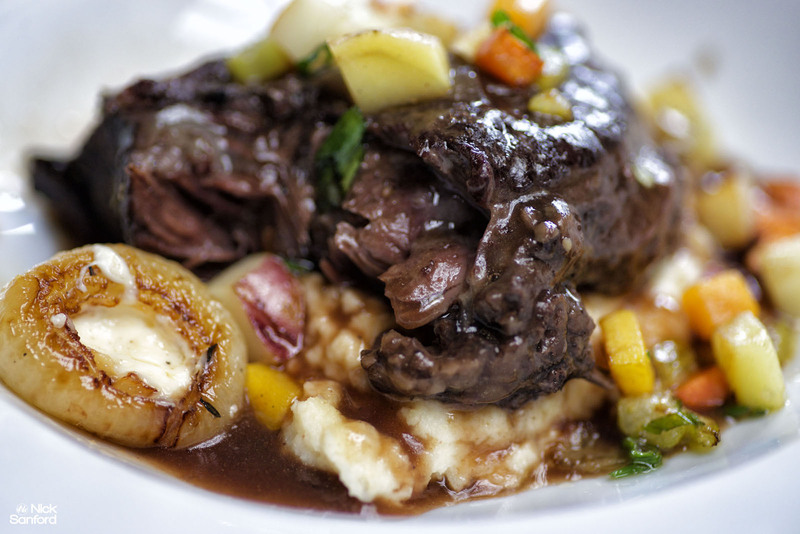 Don’t leave here without trying the beef cheeks. 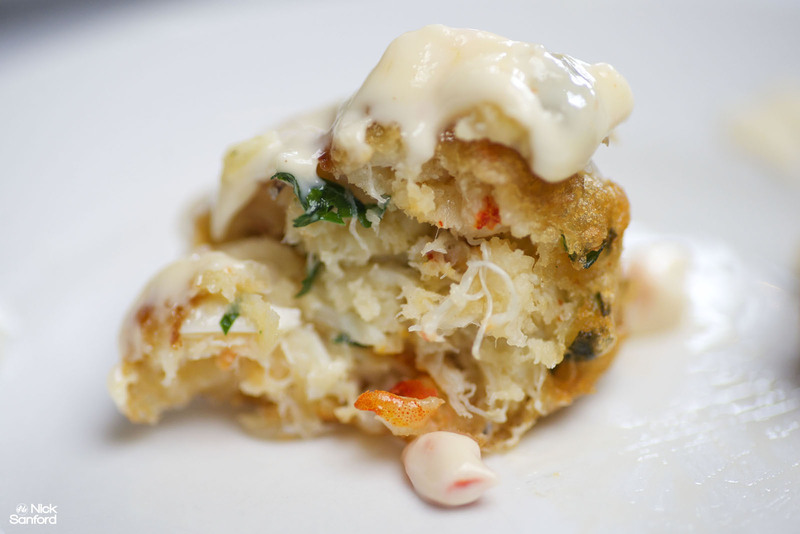 The seafood beignets were exactly what I had hoped for as well. Here they are in a picture below in a row, and also with the filling showing. 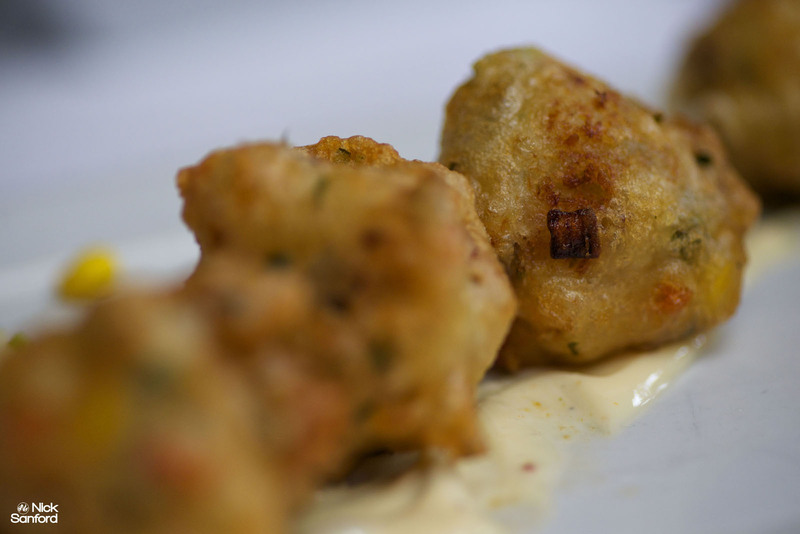 The sauce that comes with the beignets is a really smooth creole flavor that compliments them very nicely. 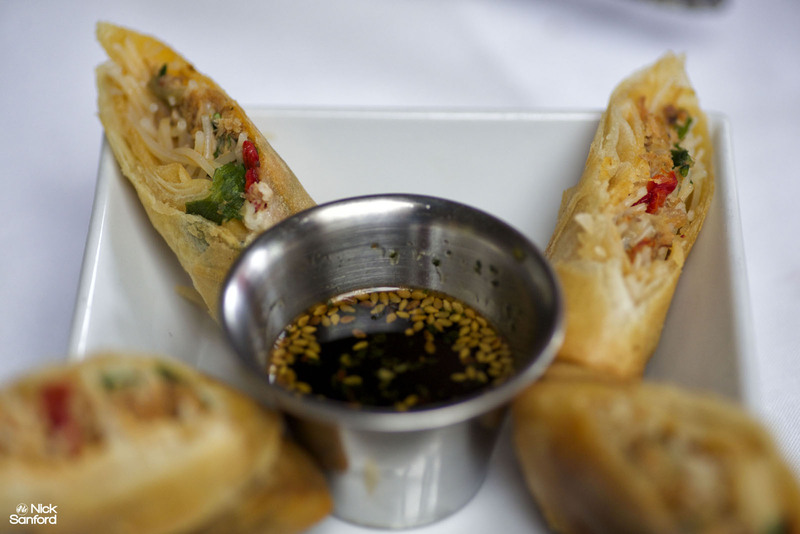 The last picture below, are the duck spring rolls. The description sounded delicious, but it failed. It was bland and greasy. I’d stay away from this particular item personally. It didn’t pack any flavors that spoke to me when I took a bite. Out of the three entrees, the red corn chicken enchilada is my favorite dish here. It is served with corn pudding and green beans. The corn pudding has a custard like texture and gives it a really nice sweet taste that blends nicely with the rest of the dish. Another entree we ordered was the crab cakes and eggs. It was very similar to a benedict style just less the bread. 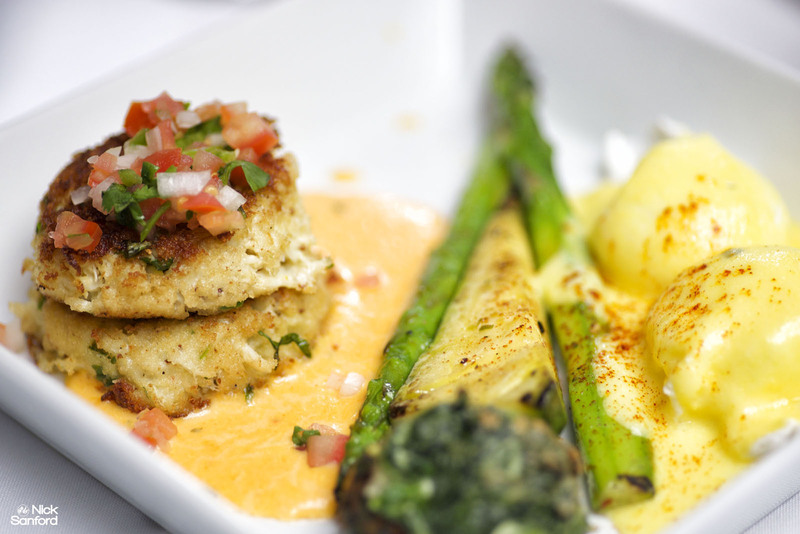 It came with a red pepper beurre blanc and the asparagus was a nice buffer between the crabmeat and eggs. Lastly, the brioche French toast was another dish that smacked your stomach in every delicious way possible. 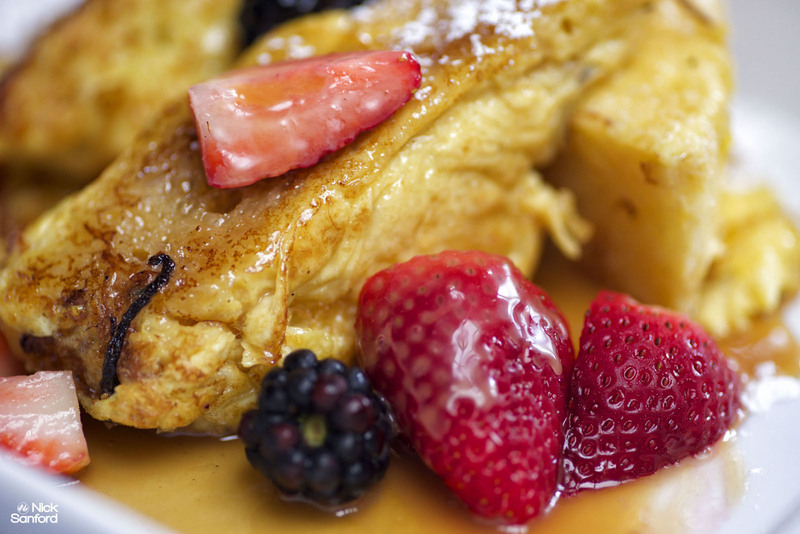 It is stuffed with caramel sauce and bananas and epitomizes what you think of when you crave a nice warm French toast. Don’t think for a second we have forgotten about the bloody mary! This was one awesome bloody mary mix they created here. Nothing fancy and over the top, but just a really well balanced bloody mary that hit the spot. Backstreet Café is easily one of the best brunches in Houston. Do yourself a favor and fulfill those cravings or sweet and savory flavors here. You’ll enjoy every minute of it. Hugo Ortega seems to hit homeruns wherever he sets up shop.